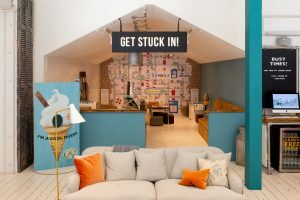 LOAF’S FLAGSHIP BATTERSEA SHACK RECEIVES REVAMP! 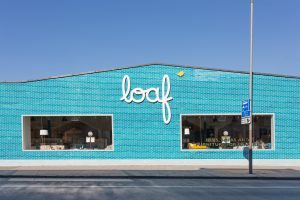 Opened in 2015 in London’s Battersea, Loaf’s first retail destination called the ‘Loaf Shack’ has been renovated. 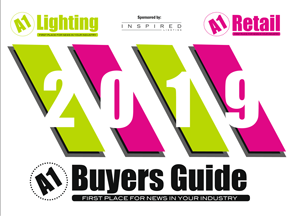 With seven Shacks across the UK under their belt, the sultans of snug noticed the demand for updating the original retail space to bring it in line with the look, feel and aesthetic of their latest showrooms. To create a spacious and inviting Shack, the front windows have been opened up providing more natural light. This has allowed customers to see directly into the Shack from the outside and to view the Brit-brand’s Loafy wares. As well as receiving a fresh lick of paint, the 8,000 sq ft Shack has introduced tactile materials to match the smartness of the newer showrooms. The reclaimed timber walls have been updated to tongue and groove boards and black & white tiling from Bert & May adorns the walls, giving a contemporary update to the space. 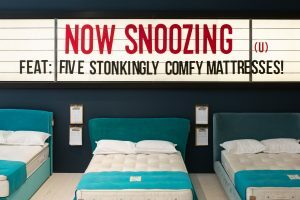 The signage has also been updated to stay in keeping with the further six showrooms with snazzy new ‘Now Snoozing’ and ‘Take me Home’ designs. 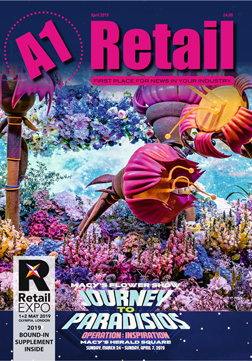 to continue their design journey when they leave. Loaf Founder, Charlie Marshall comments: “Each of our Shacks is like my baby, so I love them all the same! But Battersea was our first one, so we thought it needed a bit of TLC to bring it up to date with our latest ones. I love it just as much as ever – like a good parent, I have no favourites – but I don’t mind admitting that it looks the business!”. Loaf has recently completed a furniture shuffle and the Battersea Shack, as well as Loaf’s further six showrooms, now offer oodles of new designs from their latest collection for customers to peruse.